Mrs Melita Pargeter has a comfortable life. Widowed, her late husband, who just may have had a hand in a number of rather dubious businesses, has set her up with some of his old associates only too happy to help her out with any problem, no matter how small. Her little black book, containing the names of her husband’s contacts, is an invaluable resource for her, but when one of the earliest names in it dies, Mrs P finds herself at his funeral, determined to find out who exactly he was. She becomes determined to find the truth as to who Sir Normington Winthrop actually was, especially when “advised” not to by a large unpleasant man at the funeral. But as she pursues her investigation, along with helping out some other of her husband’s old friends, she soon finds that someone is willing to kill to stop the truth coming out. Well, that was rather fun. 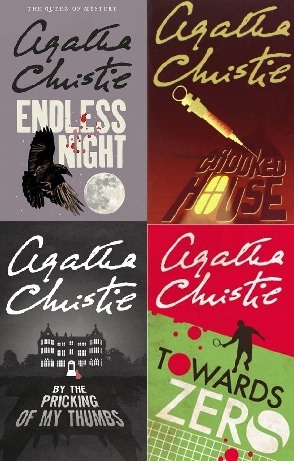 I’ve read the first three – A Nice Class Of Corpse, Mrs, Presumed Dead and Mrs Pargeter’s Package – and enjoyed them all. There were three others before Mrs P disappeared into the literary wilderness in 1999. But, just like Charles Paris, Mrs P is back with a vengeance. And an enjoyable little adventure it is too. A real page turner full of wit and charm that is over far too soon. 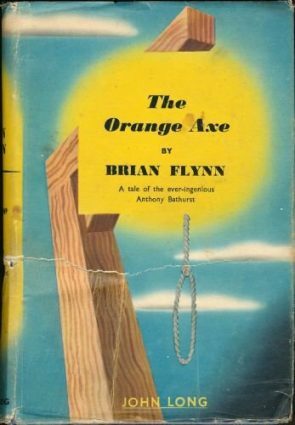 The characters are entertaining, especially Mrs P herself, and the plot keeps moving forward until the highly amusing denouement. But it’s not remotely a mystery. Not in a play-along kind of way. There is a twist but it’s a pretty unsurprising one – one of those that would have been more surprising if it didn’t happen – and a nice surprise at the end. And Brett spends some time giving UKIP – sorry, I mean BROG – “Britons, Restore Our Greatness” – a good kicking in the process, so that’s all for the good as well. But regardless of the lack of puzzle, it’s Brett at his enjoyable best. So for fans of Mrs Pargeter from way back, it’s well worth a look. Highly Recommended. I haven’t read any of the Pargeters. I must amend that. Nice review! 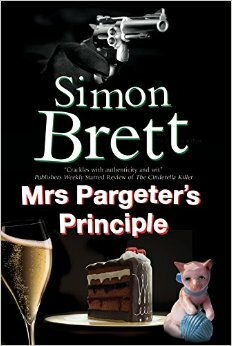 I think that if you like Brett, then you’ll enjoy Mrs Pargeter – I think she’s my favourite of his creations. Sound like great fun – thanks chum, always open for more Brett! This book will be released on 30th April 2015.